Whenever we write a post, we always try to mention the best of the best as the names of the very best are known to a majority and thus attract lot of visitors. But I am writing this post to introduce some unfamiliar names, which after reading the post may become best of the best one day or someday for someone or everyone. Pakistan is naturally gifted country. Its northern areas are rich in natural and scenic beauty, which are unparalleled and unmatchable. These natural treasures are hidden far beyond and behind majestic snow covered mountains rising more than 10,000 feet. Only those who have flare for danger laden adventure can reach these destinations. 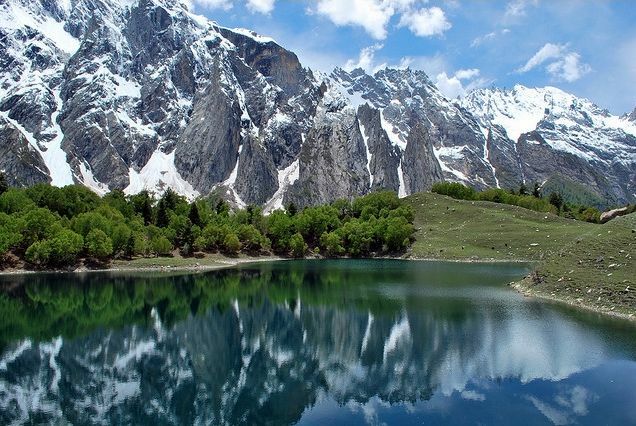 One of my Flickr friends Asif Saeed, barely 28 years, is one such person who has not only reached these beautiful places, but has also captured the blue icy waters of some of the spectacular scenic and virgin lakes that a few have attempted before. These lakes, perched in quietness and stillness of time since ages, have now been explored and courtesy people like Asif, we have a chance to dream of places that have never been visited before or very seldom visited by adventurers. I hope by watching the photographs below, many who love nature in its pure form will plan to come to these remote areas of Pakistan and enjoy that great feeling amid towering snow clad mountains on the shores of some of most awesome virgin lakes of the world. "Ansoo" and "Sat Sri Mala" lakes were discovered just two years back. These lakes are located at far off deserted and extremely difficult areas that can become dangerous if one is not fully equipped and require proper guidance and planning as there are no lodging facilities available. Camping is the only solution, but it is so windy and ice cold out there that one has to be really prepared to camp. 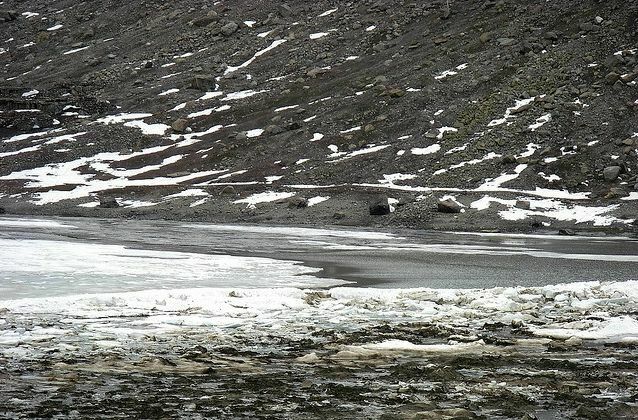 Ansoo Lake is in shape of eye and most of its water is frozen but a portion of it looks like "tear" from far off place. Ansoo means tear so that’s why this lake has been named as Ansoo lake. Located at an altitude of 16,492 feet in the Kaghan Valley near the Malika Parbat mountain of the Himalayan mountain range and some 12 hours difficult and treacherous trek from the famous Saif ul Mulook Lake, itself located at 12,000 feet. 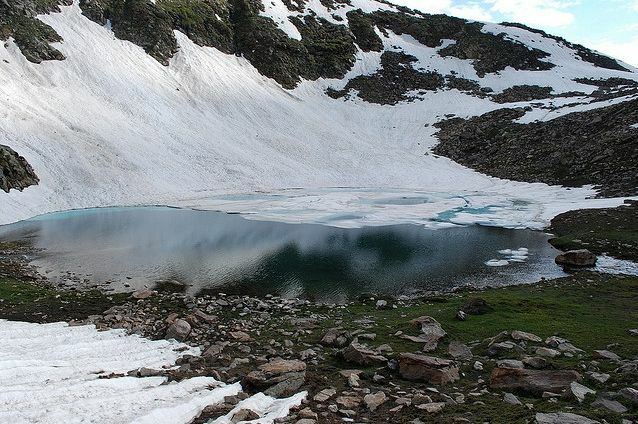 The trek from Saif ul Mulook Lake is generally snow covered for most part of the year and can be accessed from mid-July to mid-August only. Although one can hire horses, but almost one third of the trek has to be footed anyway. Another lake about which I came to know is "Sat Sri Mala". These are seven different lakes in steps. Water from each lake falls in the next one so that’s why named it Sat Sri Mala. "Sat" means seven and “Sri” means head in local language. 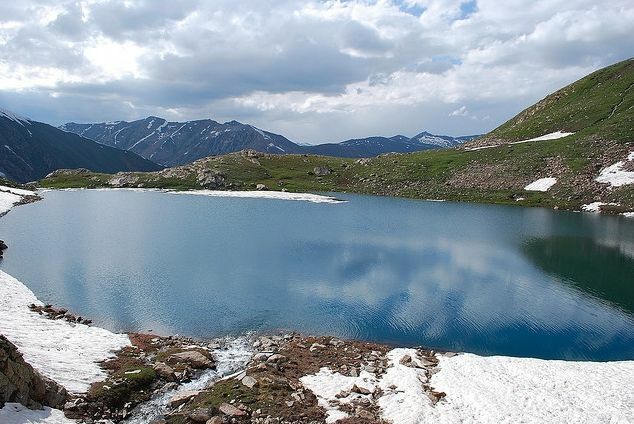 Rama Lake is located on top of beautiful Astore Valley in Gilgit-Baltistan, Pakistan. The Rama is situated in Choungrah Valley. It takes half hour to reach the Rama. Rama Valley is thickly forested with huge pine, cedar, fir and juniper trees. The valley is about 3300 meters (10,800 feet) above sea level and thus is snow covered for 7-8 months of the year. In summer, it becomes lush green. From here one can trek to east side of the Nanga Parbat (also known as the Killer Mountain), the world's 8th highest mountain. Gitidas Lake is yet another beautiful lake located near the famous Lulusar Lake which in itself is the biggest natural lake in scenic Hazara. Lulusar Lake feeds roaring Kunhar river which is its main source. One comes across magnificent view of the lake through a jeep trek on the banks of the lake that takes you to Babu Sar Pass. The journey is full of excitement. 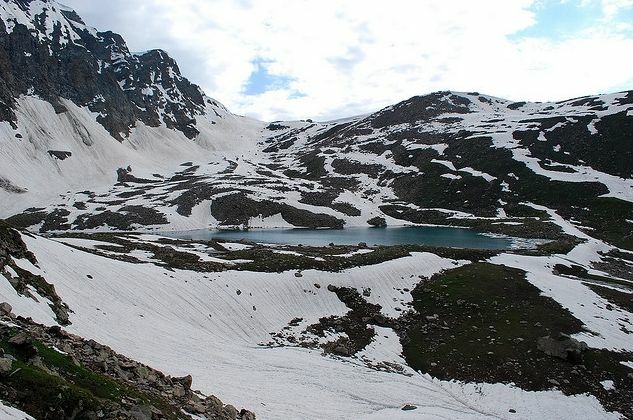 Saral Lake is usually referred as the Hidden Pearl of Kashmir. Crossing the Saral Pass at a meager height of 13,600ft and descending into a valley guarded by high passes lies hidden dream like Saral Lake of unsurpassed beauty. 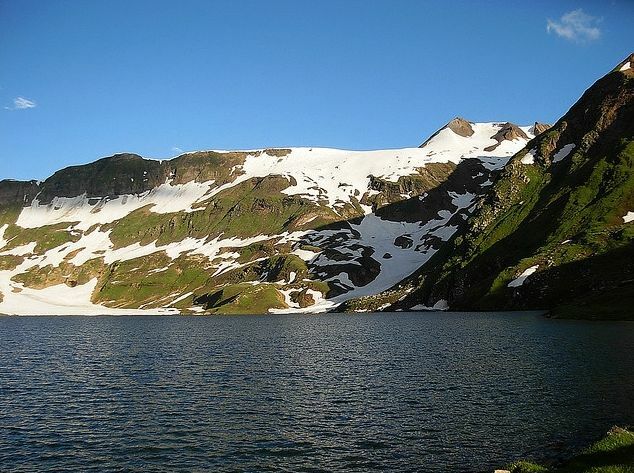 This lake can be accessed from Kaghan valley and Neelum valley. 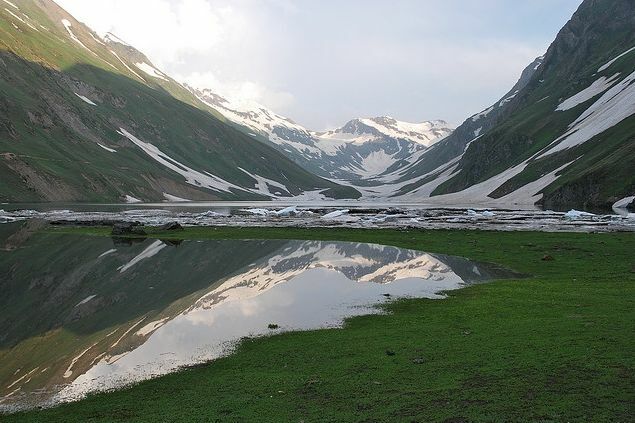 One can take the trek from Besal in Kaghan valley and camp at Dodipatsar Lake for overnight stay. Resuming the journey next morning, one journeys into Neelum valley to reach Saral Lake. From here one can trek to Neelum Valley or to Kaghan Valley via Nurinar river following jeep road to Jalghad. From Saral Lake one may explore yet another beautiful Ratigali Lake. 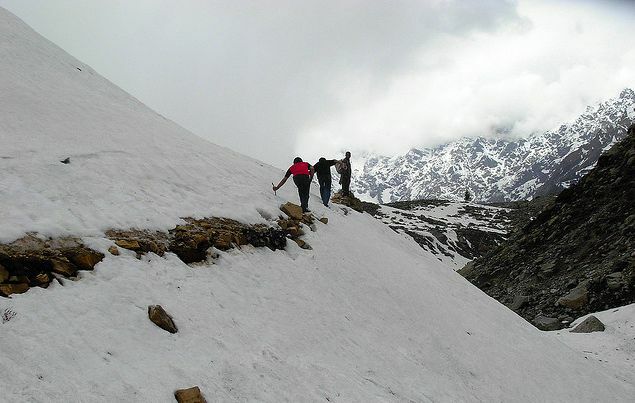 Dodi Pat Sar is located ahead of Naran and Jalkand near Basal Camp which is at an altitude of 10,000 feet. The lake and surrounding area has been declared as National Wild Life Park. 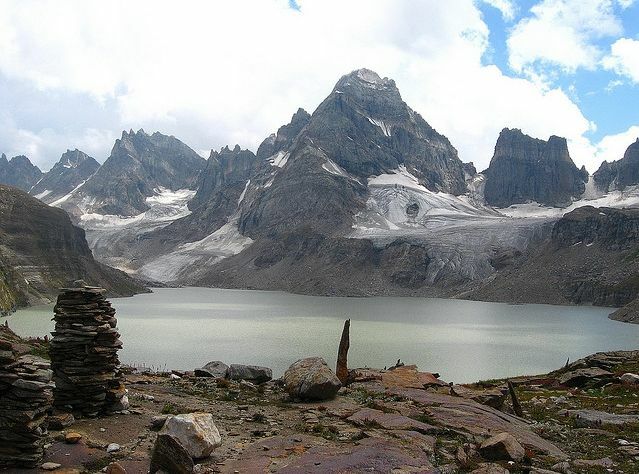 One can conveniently reach Basal Camp but from hence forward, there is a continuous trekking of about 5 hours, on average, to Dodi Pat Sar base camp. From the base camp still a breathtaking journey of about an hour takes you to the legendary Dodi Pat Sar which is at a height of 15,000 feet above sea level. In the local language Dodi means milky, Pat mean water and Sar mean lake. So Dodi Pat Sar means “The Lake of Milky Water”. 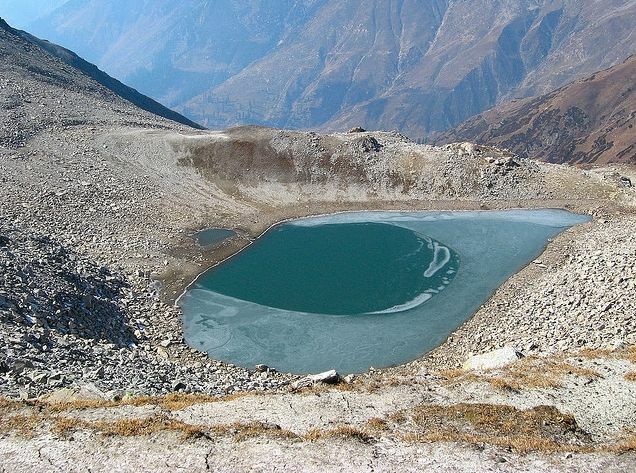 This splendid lake resides in the lap of the snow covered mountain peak. The snowy mountain peak sheds its reflection in the lake giving an impact of milk contained in a lake, which makes up its name. In ancient times this place was known as “Purbi Narh”. Purbi was an aboriginal tribe living in the vicinity of this lake and Narh, in local language, means the water passage moving down the mountain peak. Kashmir is blessed area from nature and well known for the its virgin beauty Chitta Khatta Lake is the diamond of Neelam Valley's crown, Chitta Khatta lake is located at an altitude of 14,000 feet above sea level in upper Neelam Valley of Azad Kashmir , Pakistan. The main highlight of the lake is its extra ordinary milky white colour of water from where lake's name was derived, Chitta (white), other than the fact that this beautiful lake was visited seldom and it was not known a few years from now. 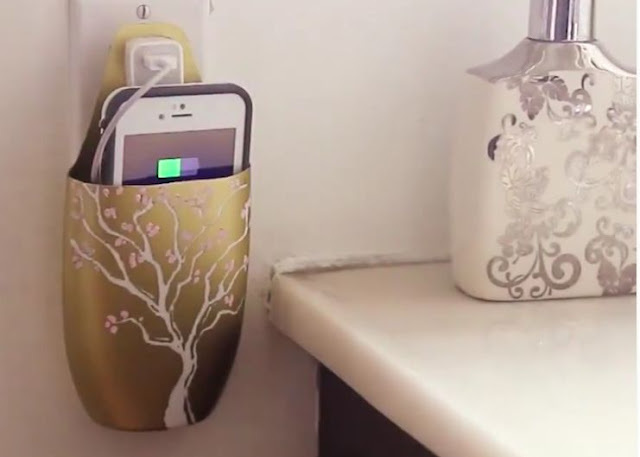 It also has no visible outlet (just like Kutwal Lake and Sheoshar Lake). For this trek one has to reach Kel in Neelam valley, which is a day’s travelling from Muzaffarabad, in the Kel. Jeeps are available for the upper Domel Village besides Shountar Nalah and the jeep trek starts from Kel, where Shounter Nalah falls into Neelam River. The trek of lake starts from Chitta Khatta Village, located at 8,000 feet, which is located about one km before Upper Domel village. Chitta Khatta village and Neelam Village are two small villages across the Shountar Nalah on the right (these are very obvious, one cannot miss them). Another indication is the Chitta Khatta Nala that falls rather sharply adjacent to the Chitta Khatta village. From the road one has to descend first to reach the Shountar Nala. This descend is not more than 100 feet. From here one has to cross the Shountar Nala through a wooden bridge and then continue parallel to the Chitta Khatta Nalah crossing Chammar Fall and onto the Lake. 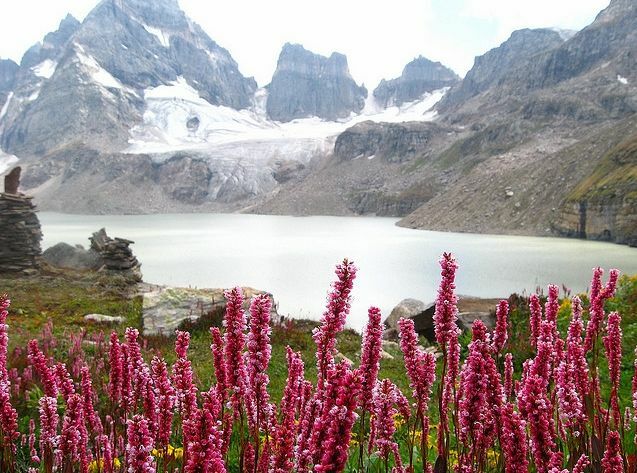 Kutwal Lake is yet another breathtaking and awe inspiring lake of the Haramosh Valley. One can reach Haramosh Valley both from Skardu and Gilgit. 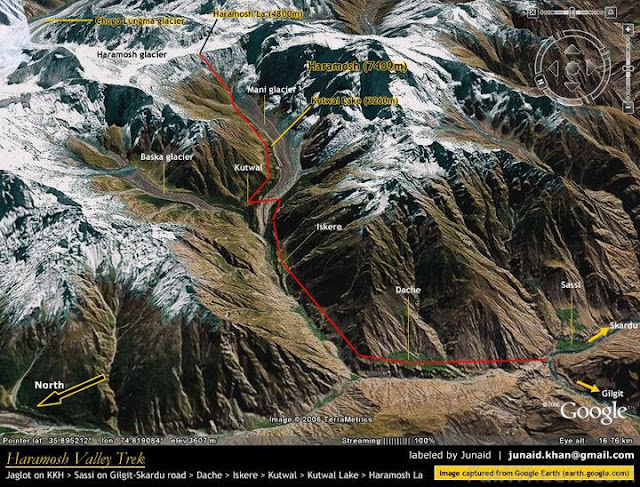 From Skardu one has to go to to Sassi from the where the trek to Kutwal starts. But it is better to start from Gilgit as Sassi is just an hour drive from Gilgit. Jeeps can take you till village Dassu. After Dassu its all trekking up to lake. It takes about 6-9 hours from Dassu to Kutwal village and yet another 5 hourse up to the lake. Therefore one has to plan for at least three days round trip with appropriate gear, tentage and eatables.